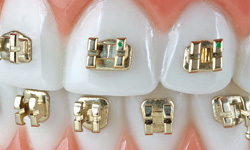 Forever Gold stainless steel gold colored brackets offer the best of both worlds - the durability of stainless steel and the esthetics of gold. 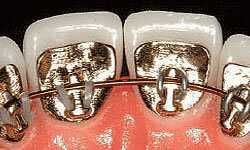 When matched with gold wires and gold ligatures, Forever Gold offers a pleasing cosmetic look to your smile. 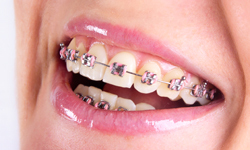 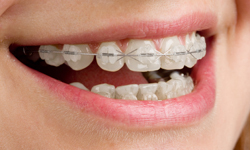 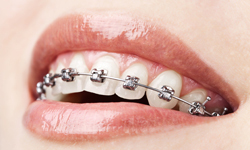 Unlike traditional brackets and clear aligners, designer braces make a patient's orthodontic experience their own. 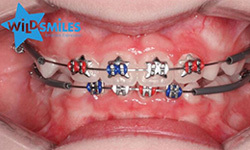 Enjoy the option to express your personality by designing your smile with the different shapes of braces to choose from.